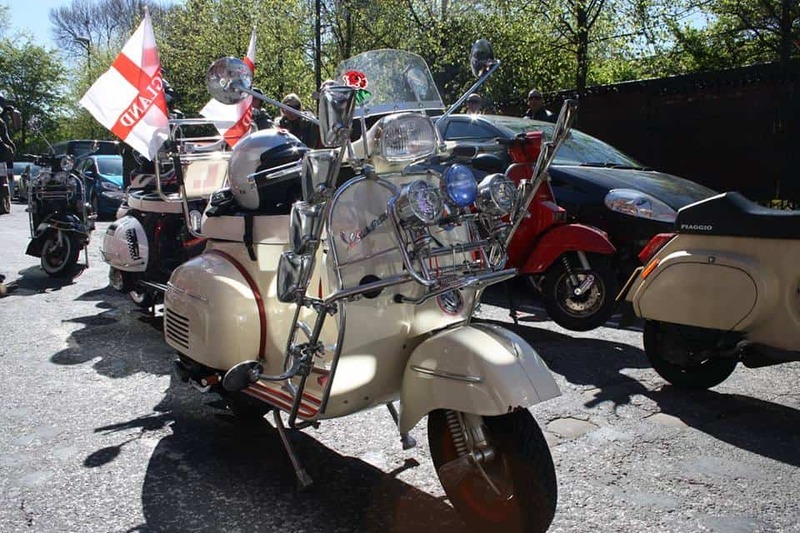 North & Central Manchester Scooter Club organised a St Georges Day Scooter Parade on Sunday, 26th April in Manchester and were joined by a large number of North West Scooterists. During the parade and the entertainment at The Derby Arms they raised over £565 for Kidneys for Life. 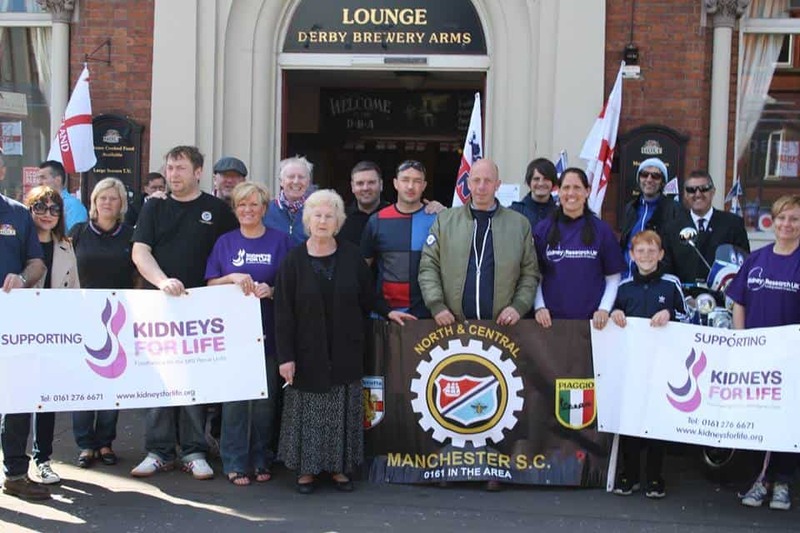 All of this in memory of Ray Longden of the Derby Arms on Cheetham Hill Road in Manchester who was on dialysis at North Manchester General Hospital until he sadly passed away. All funds will be used for the benefit of kidney dialysis patients at North Manchester Renal Unit. Our thanks to everyone concerned who took part and contributed to the fundraising on the day.